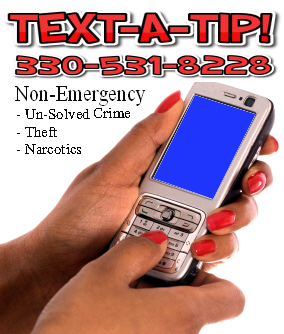 If you have an anonymous tip regarding an "un-solved" crime please send your information to our anonymous tip email, or utilize our TEXT-A-TIP line at 330-531-8228. Listed Below are the investigative arrests (Snapshot). Q: If my property is recovered how soon before I can get it back? A: Since the property is evidence of the crime committed, the matter is presented to the prosecutor. Typically the prosecutor requests a motion to substitute your property with a photograph. Once the journal entry from the judge is received by the police department your property can be released. Although, you will need to provide the property if needed for the criminal trial. Q: Why do I have to pay the Pawn shop to recover my stolen property? A: Ohio law provides that Pawn Brokers shall be paid for items seized by police for investigations. only to be sent home? A: The "Pre-Trial" process is the first informational meeting with the defendant and the State of Ohio (Prosecutor). During this meeting, between the defense attorney and the prosecutor, information is shared (commonly known as "discovery"). The prosecutor may make an offer (plea agreement) that is accepted by the defendant pleading guilty to the original or reduced charge, hence closing the disposition of the case. If an agreement can not be reached then the case will go to the next step of the process, which is the trial. The defendant has the right to accept a plea even if the case is ready to go to trial. The most important thing to remember is that if you have a question about the status of your case during the Court Phase, ask your prosecutor. They are more than willing to discuss the matter and have the authority to explain the process. Q: Someone used my credit card in Canada to charge thousands of dollars of merchandise that I did not authorize, what do I need to take to my banking institution or credit card company? A: Most credit card companies and banking institutions require their customers to file a police report. Once the police report is filed the companies will need a report number that they can reference for their fraud divisions. When the police report is "approved" for an investigation, our department will investigate all information until it leads outside the United States. 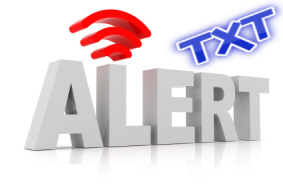 Be prepared, some banks and credit card companies require an affidavit (sworn document) that the customer will need to complete before they will reconcile the charges.